The scrolling beat'em up genre is back with the release of Teenage Mutant Ninja Turtles! We had not seen anything like this in the West since the not so good Justice League - Heroes United released by Global VR in 2009. Today, Raw Thrills gives the Ninja Turtles a fresh paint, 27 years after the release of Turtles in Time by Konami. It seems audacious to release anything else than a racing or a shooting game in western arcades, will Raw Thrills succeed with this game? It seems the answer is yes based on the very good results recorded during the location tests and the very positive welcome the game received at various trade shows. To have played it, I can tell you that the game is very fun, gorgeous and the levels are varied. The gameplay is perfect too. 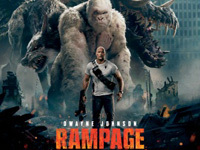 Raw Thrills did not take the task lightly! From its ancestor, this new Ninja Turtles retains the 4-player simultaneous gameplay and the move that throw enemies toward the screen. In addition to the traditional Attack and Jump buttons, a new button appears: the Turtle Power button that triggers a devastating attack (but it can only be used once the gauge is full). 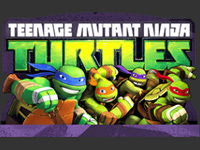 Obviously, the turtle chara-design comes from the latest animated series (the same 3d models are used) and the turtles are voiced by actors like Seth Green, Sean Astin and Gilbert Gottfried. The cabinet itself is attractive with a huge 55" screen and LED lighting everywhere: marquee, T-molding, speakers, under the panel, even the joysticks are illuminated! For sure, you can't miss it! You will be able to play Teenage Mutant Ninja Turtles in Belgium very soon because the Reflex arcade in Ostend will receive its machine next month. We will let you know as soon as it is there! 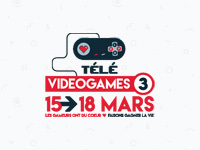 Meanwhile, you can take a look at the gameplay with our video shot at EAG International 2018. Teenage Mutant Ninja Turtles is available for purchase from the following distributors depending on the country: Red Sun Systems (Belgium), Game Castle International (Netherlands), Avranches Automatic (France), Bandai Namco Amusement (Great Britain), Betson Enterprises (USA). 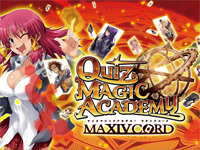 Konami celebrates the 15th anniversary of the Quiz Magic Academy this year and releases a new game: Quiz Magic Academy MAXIVCORD. Besides the usual quiz game, a brand new card game is now available. In "Record Arena" mode, you can uses digital cards to battle against other opponents. The game features 3 game modes: "Tutorial" for beginners, "Character Battle" vs CPU characters and "Rank Match", online battle with other players. When you play Quiz Magic Academy MAXIVCORD, you can earn items for the mobile game Quiz Magic Academy Lost Fantarium. Square Enix announced location test dates for Love Live! 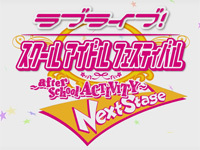 School Idol Festival ~ after school ACTIVITY ~ Next Stage. Two location tests will be held from June 22 to 24 and June 29 to July 1st. 14 songs will be playable during the loctests, 4 songs will be new titles such as Energetic fully open DAY! DAY! DAY!, We know the future and Strawberry Trapper. The fist title of the series was released in December 2016. With this new game, Square Enix introduces new gameplay functions. There will be a new music notation "PLUS" and, in addition to the usual rhythm buttons, two new buttons named "decision button" and "cancel button" will be added. Futhermore, a new feature allows the player to go out in town with the band members after playing! Zuntata Arcade Classics Volume Three vinyl is available for pre-order at Ship to Shore Phono Co. 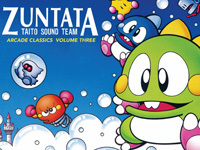 It contains musical themes from Bubble Bobble (Tadashi Kimijima), Bubble Symphony (Yasuko Yamada), Pu-Li-Ru-La (Kazuko Umino), Gun Frontier (Hidetoshi Fukumori) and Rayforce (Tamayo Kawamoto). This transparent disc with blue and green splatter is presented in a gatefold sleeve that opens in two parts revealing Zuntata archive photos and liner notes by Jeremy Parish of the Retronauts podcast. Zuntata Arcade Classics Volume 3 is priced at $25.00, orders will be shipped in mid-May. Previous volumes of the Zuntata (Taito Sound Team) Arcade Classics series are still available in the Ship to Shore Phono Co. online store: Volume one featuring Night Striker, Metal Black and Elevator Action Returns and Volume two dedicated to Darius (a game released 31 years ago) and his innovative themes composed by Hisayoshi Ogura. Click Here to preorder Zuntata Arcade Classics Volume Three. 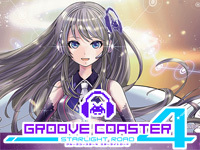 Groove Coaster 4 Starlight Road is out today. 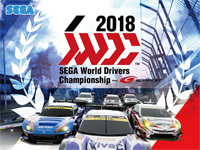 Taito introduces 20 new songs in this new version. To celebrate the game release, 2 events are proposed to the players. The first one is a collaboration with idol band Dempagumi.inc (でんぱ組.inc) that also starts today: players can win special avatars and titles and Mirin Furukawa as a navigator. Of course, Dempagumi.inc's new song Ψ発見伝! is playable. The second event is a collaboration with the smartphone rhythm game Lanota, this event will start tomorrow and will end at the end of April. During the event, a Groove Coaster song will be playable in Lanota and a Lanota song will be playable in Groove Coaster every week. Furthermore, on April 4, Groove Coaster ORIGINAL SOUNDTRACK 2018 Vol.1"DREAM" will be released. It contains 28 tracks including songs from Groove Coaster 3 EX Dream Party and the theme song of Groove Coaster 4 Starlight Road. Konami releases DANCERUSH STARDOM, a new musical game to celebrate DanceDanceRevolution's 20th anniversary. This new title allows players to enjoy Shuffle Dance simply by moving their body according to the screen instructions. Shuffle Dance is a dance style featuring steps that slip your feet according to EDM (Electronic Dance Music). There are 4 types of instructions appearing on the screen: step, long, jump and crouch. Each time the payer makes a step on the floor, the large sensor panel glows seven colors on the floor and the LEDs light up. Two players can play together on the same cabinet and 4 players can compete on 2 cabinets. In 2 players mode, the 1st player stands in front and plays with the orange notes and the 2nd players stands behind and plays with the blue notes. A camera records the players and they can upload the movie on Youtube. 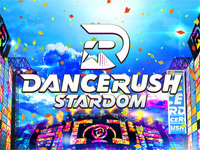 You can watch DANCERUSH STARDOM trailer here. 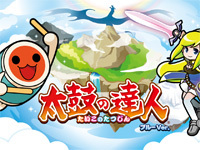 Taiko no Tatsujin: Blue Ver. A new version of Taiko no Tatsujin is out today: Taiko no Tatsujin: Blue Ver. As its name implies the new design is blue themed based on the colour of the sky. There are 10 new songs already available today including anime songs such as Hope by Namie Amuro which is the current opening of One Piece, Pop Team Epic opening by Sumire Uesaka and also game musics such as a Splatoon 2 medley.